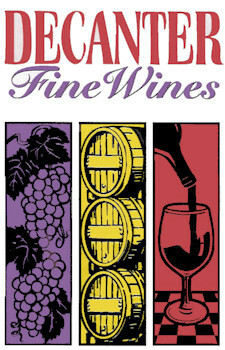 Eric Stein: The Owner of Decanter Fine Wines. I started my career in the beverage alcohol industry in 1970. Twenty years in wholesale offered the opportunity to travel the world visiting wineries and distilleries, learning from them all, both large and small. I'm proud of the accomplishments made at Decanter, the staff, and the wonderful community. We will always strive to offer superior service, broad selections, and competitive pricing. Steven Smith: The Manager of Decanter Fine Wines. I started back in 2007 as just an employee, but throughout the years, have worked my way up into management. In 2012, I got married to the love of my life, and we bought our first home in Carroll County. I've never enjoyed work before being employed by Eric, but I have found a great career here, not only a "job".. Do what you love, and you'll never work a day in your life.